Western Specialty Contractors has appointed Damon Matthew of Omaha, NE as Branch Manager of its Omaha, NE office. The Omaha office has served customers throughout Nebraska and South Dakota since 1956. Services include: building cleaning, concrete and masonry restoration, EIFS restoration/recoating, epoxy and chemical grout injection, expansion joint system installation, exterior wall coating application, parking garage restoration and waterproofing. 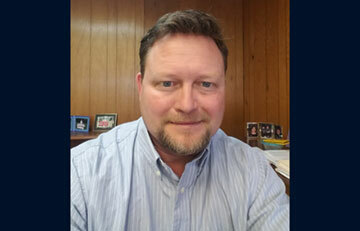 Matthew has 19 years of restoration industry experience, having previously worked 12 years at Western Specialty Contractor’s Kansas City, MO branch as a laborer, project manager and estimator. Following Western, he held branch manager and estimator positions at C&M Restoration, Performance Contracting, Goedecke and Blakley Corp., before returning to Western as Branch Manager of the Omaha office. Matthew has a Bachelor of Science degree from Kansas State University and is a member of the International Concrete Repair Institute (ICRI).